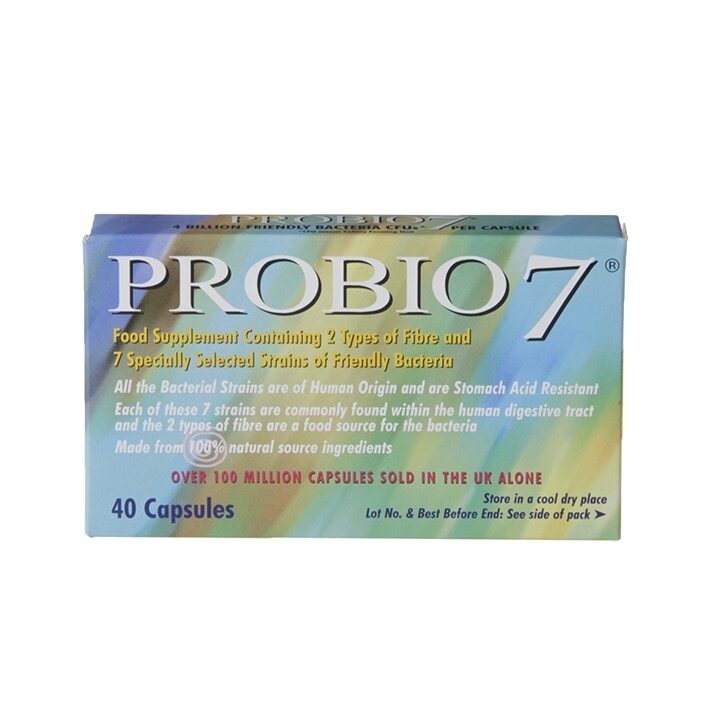 Probio 7 Capsules is rated 4.8 out of 5 by 24. Rated 5 out of 5 by K59K from Excellent Product I don't normally leave reviews but these have been excellent. Easy to take and had great results, I recently went on holiday and forgot them, it made a big difference. When you first start taking them it can take a few days for your system to catch up. Make sure you continue to drink lots of water too and you won't look back. One a day is fine for me but you can take up to two. Rated 5 out of 5 by JuliaP from So convenient Usually have a probiotic yogurt every day but travel a lot. So these are a great thing to pack. Rated 5 out of 5 by Splatt from Feel good Probio's Bought to improve my biome. Did the job and now feel great. Rated 5 out of 5 by Trumpton from Banish Bloating! I bought these to replace another make that didn't seem to be doing anything, I'm so pleased that I did. My bloating has gone and my bowels function perfectly. Tmi!